Ian ‘Sugar George’ Edwards is a true master of his craft. He has no formal architectural education yet his creative mind allows him to imagine, design and build architectural works of art. 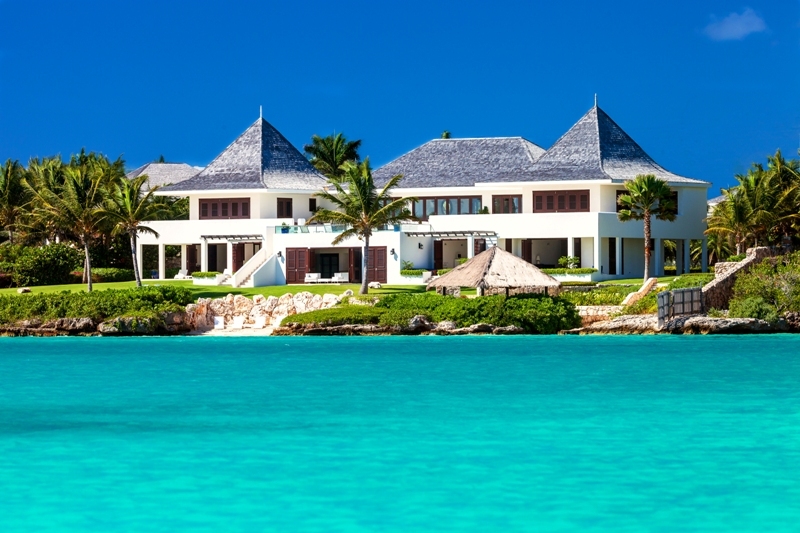 Along with his wife Janine, they own Sunset Homes in Anguilla, a dynamic globally award winning firm that specializes in architecture and design, form building technology, procurement of construction materials direct from factories around the world, property development, as well as general design and construction consultancy services. Ian is affectionately known as “Sugar George’ by friends and clients alike. Ian ‘Sugar George’ Edwards has no formal architectural education. He started his career in construction as a labourer to escape poverty. Six months later he referred to himself a carpenter. Ian was a foreman by the age of 21. He learned very quickly and his thirst for knowledge was insatiable – carpentry, masonry, and plumbing he did it all. By the age of 23 the confident self starter was the manager of his own company and initially employed about seven men. Sugar George’s best friend in Montserrat was an architect by the name of Ken Cassell. He understood that to talk his friend’s language he had to better understand design and architecture. Ian started dabbling and doing his own sketches for some of the jobs he worked on. Ken Cassell then took Ian under his wings and exposed him to the world of design. Mr. Cassell also gave Ian the opportunity to review his drawings. Ken Cassell valued Ian’s opinion on design challenges that he foresaw would be faced during construction. John and Val Barker, who Ian calls ‘Pops’ and ‘Mom’, also had a profound impact on his career and his life. The Barkers have a passion for creating exquisite homes and Ian learned a lot from their partnership over the years. 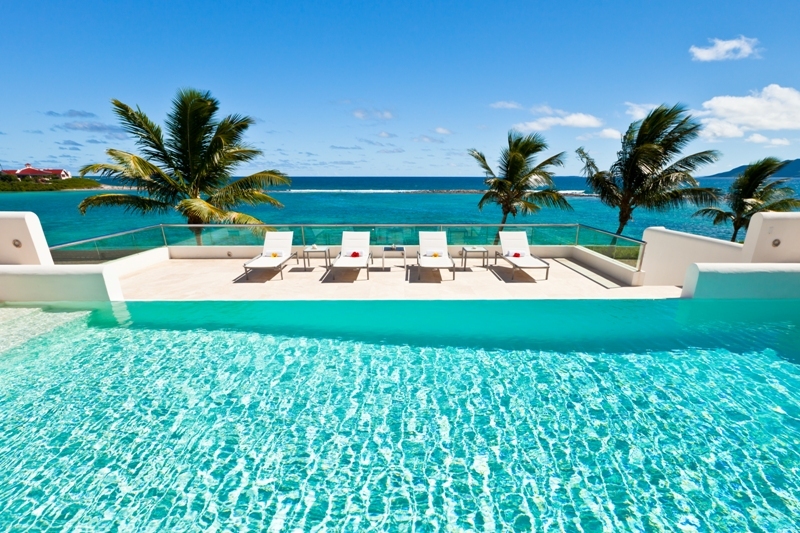 They worked together on the Beach House and also on the Le Bleu and Indigo properties at Little Harbour Estates. Ian ‘Sugar George’ Edwards does not lock himself into one particular style. He thinks of himself as an open box and is always willing to listen to the ideas of others. He gathers inspiration when he travels and from other designs and work that he does. Sugar George recognizes that the client’s wishes and demands are paramount. The location was a stunning piece of land directly on gorgeous Meads Bay, Anguilla and the team wanted to make the most of it. Ian figured out precisely the best use of space and how to best optimize natural light and ventilation. A vital aspect was ensuring there was a view of the ocean from most rooms in the house. 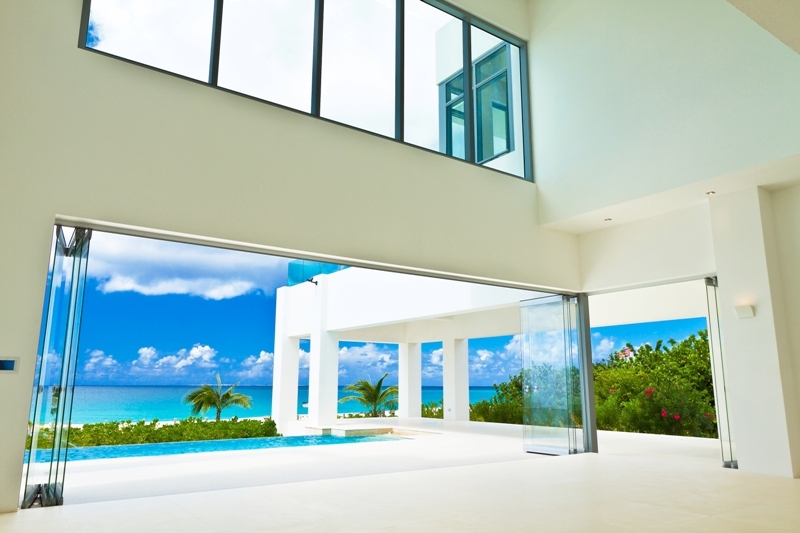 The house was designed and laid out to incorporate a clear view of the ocean from most rooms in the house. 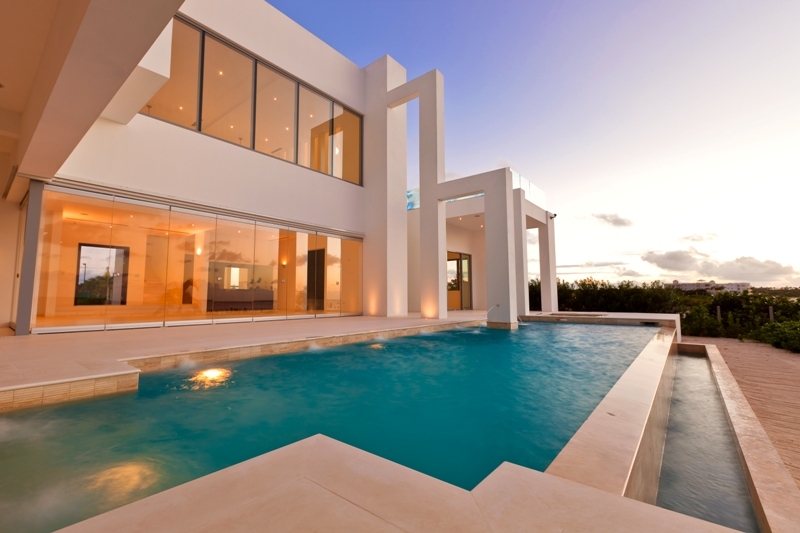 The windows size and positioning were designed to optimize the capture of natural light. The prevailing direction of the wind is easterly so windows and doors were positioned to optimize natural cross ventilation. 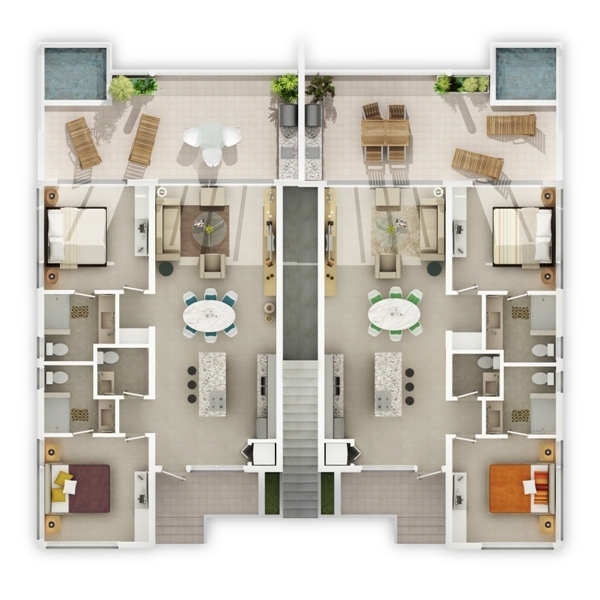 The water theme is present in every room – either through the sense of sight, sound or both. For areas that did not have a clear view of the ocean a purposeful design element was to include a water feature where the sound and sight of water could complement the beach setting. Careful attention was paid to making bathrooms a spa like social area – where a couple could enjoy use of the room at the same time. The bathrooms are spacious, each equipped with its own unique, hand-crafted stunning tile work designs. 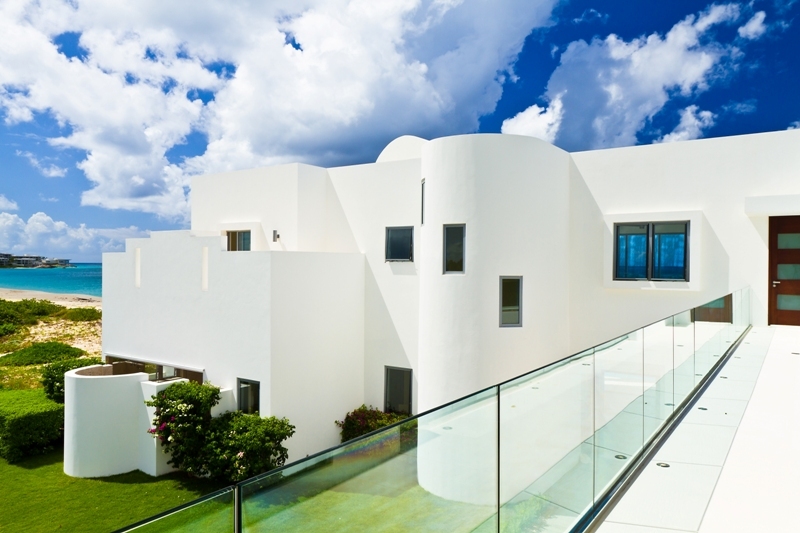 The design of The Beach House incorporates stunning and varied geometric lines and shapes. The curves, sharp edges, and clean lines, both on the interior and outdoors add a refreshing appeal to the senses – a true celebration of architectural aesthetics. 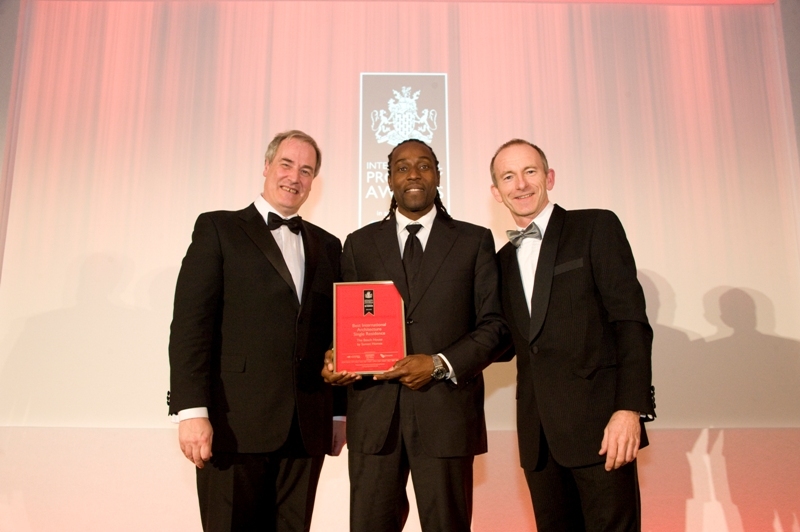 At the International Property Awards in London in 2012/2013, The Beach House won Best Single Property Unit – Anguilla; Best Architecture Single Unit – Anguilla; Best , Property Single Unit – Caribbean; Best Architecture Single Unit – Caribbean; Best International Architecture – Single Residence for 2012-2013 (the most-coveted prize), the sole “World’s Best of the Best of the Best” for that category. In Ian’s own words ‘I have two favourites. Le Bleu. I just love how I feel on that property. There is a sense of peace and fulfillment. The beauty about Le Bleu is that all of the elements blend perfectly together to create magic – the lush gardens, exquisite hand-picked interiors and of course the fabulous villa. It is a case where the whole is even more than the sum of its parts – you can feel the synergy. 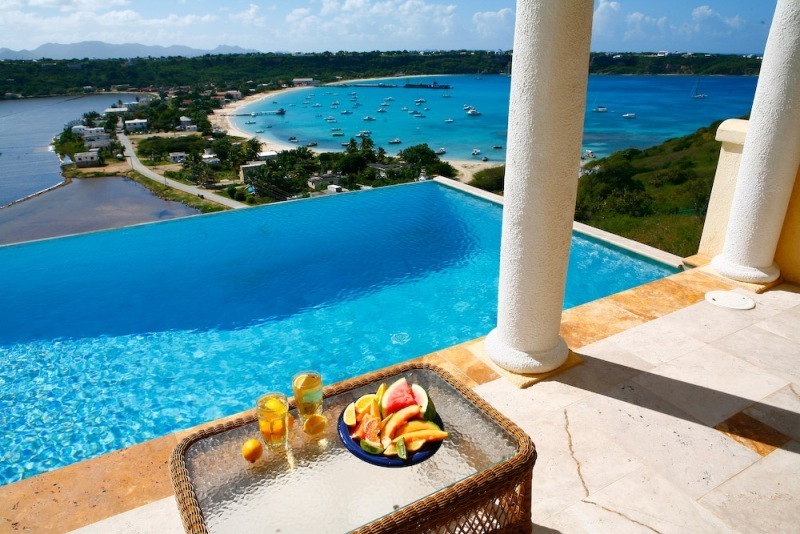 Sunset Homes caters to a luxury audience primarily those who want to build homes or boutique developments in Anguilla. Their clients are sophisticated, energetic, demanding and expect international level service which Sunset Homes willingly provides. Clients come from a number of different fields and areas of expertise and Ian, Janine and the team at Sunset Homes take the opportunity to learn from them. 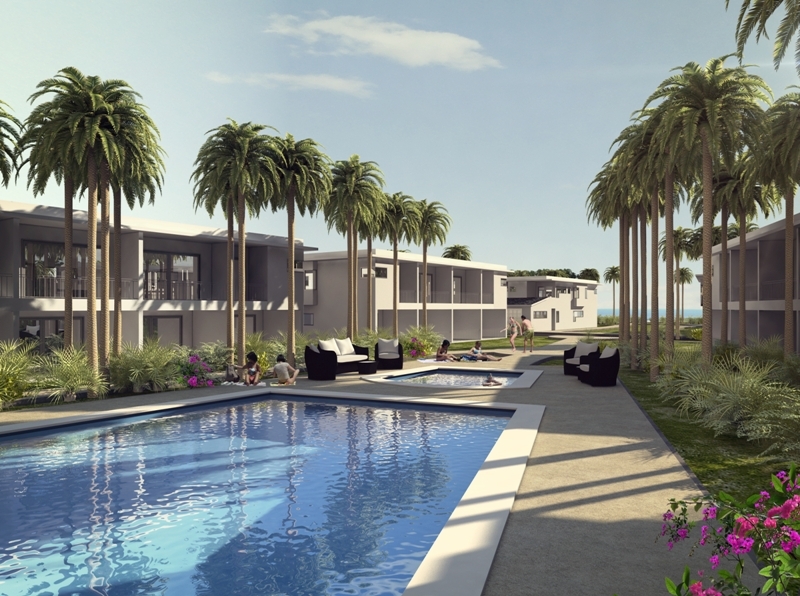 Sunset Homes is currently building private villas and condos in Nevis using a poured concrete system to get buildings erected very quickly. They are getting ready to launch an upscale, contemporary 98 acre tourism property development called Butlers Estate Resort and Residences which can be viewed at www.butlersestate.com. 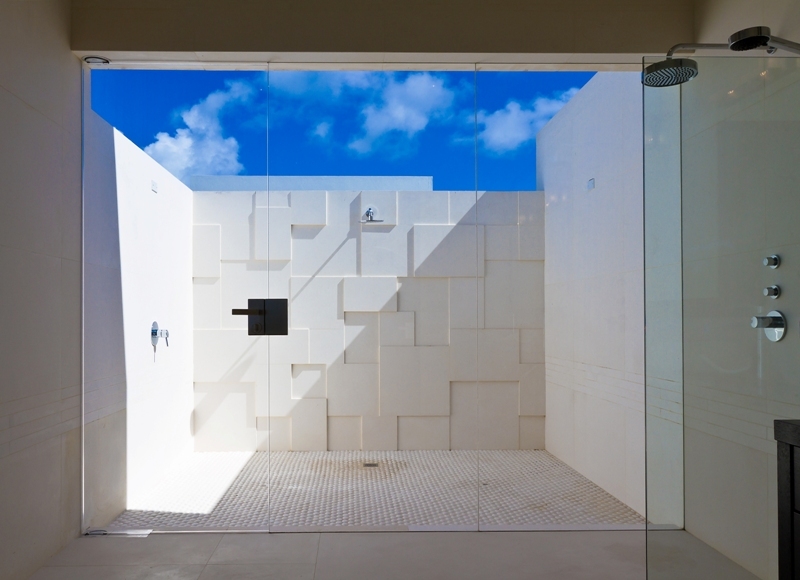 They are also engaged in ongoing procurement for some Caribbean islands that is, sourcing materials such as doors, windows and tiles from overseas. 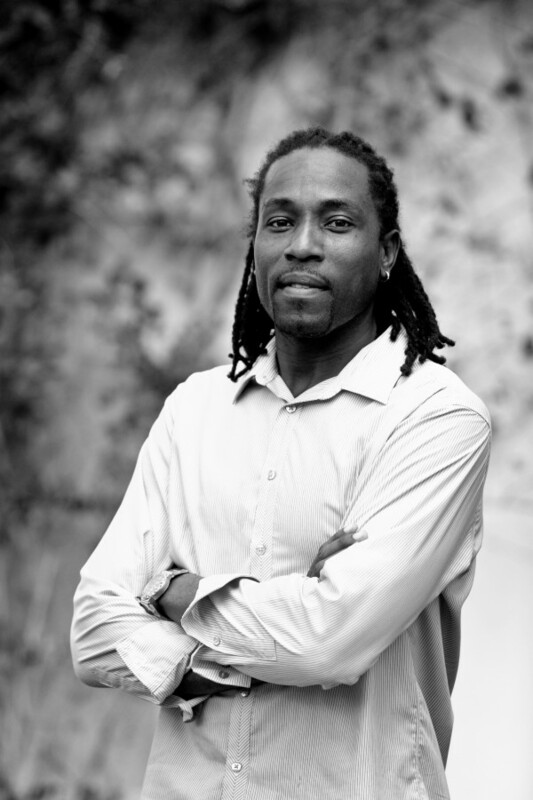 Moving forward, Ian hopes to concentrate on continually innovating to design and develop fabulous spaces for people to enjoy both in Anguilla and within the region. Sunset Homes is open to doing work within the region and with an impressive array of accomplishments; this company will continue to do great things. Read more information about Sunset Homes in the posts below.